I want to wish everyone a happy Norooz! 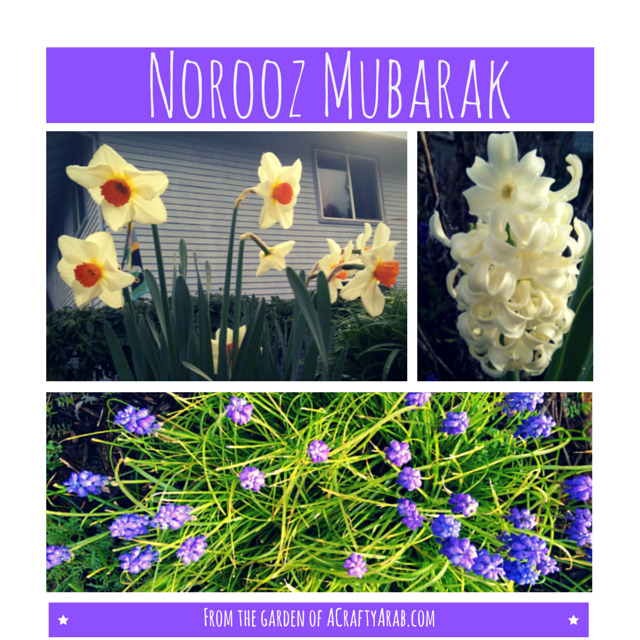 Norooz, or Nowruz, is a holiday celebrated each spring equinox to welcome in the Persian New Year. I took photos of some the flowers in my yard today for my daily #mkbpicaday challenge on Instagram. Those are daffodils, a white hyacinth, and forget me nots above. I then went on a weekly walk with a friend at a local park. While there, we were surrounded by more beauty in the cherry blossoms that are blooming and floating to the ground like snow. Afterwards, I visited a friend who just moved into a new home. Her husband was Persian, so I gave her a new plant to welcome the new year. I also brought over other treats, including pastries for her toddler, who shared a few bites with me. But only after she rubbed them into her knee. 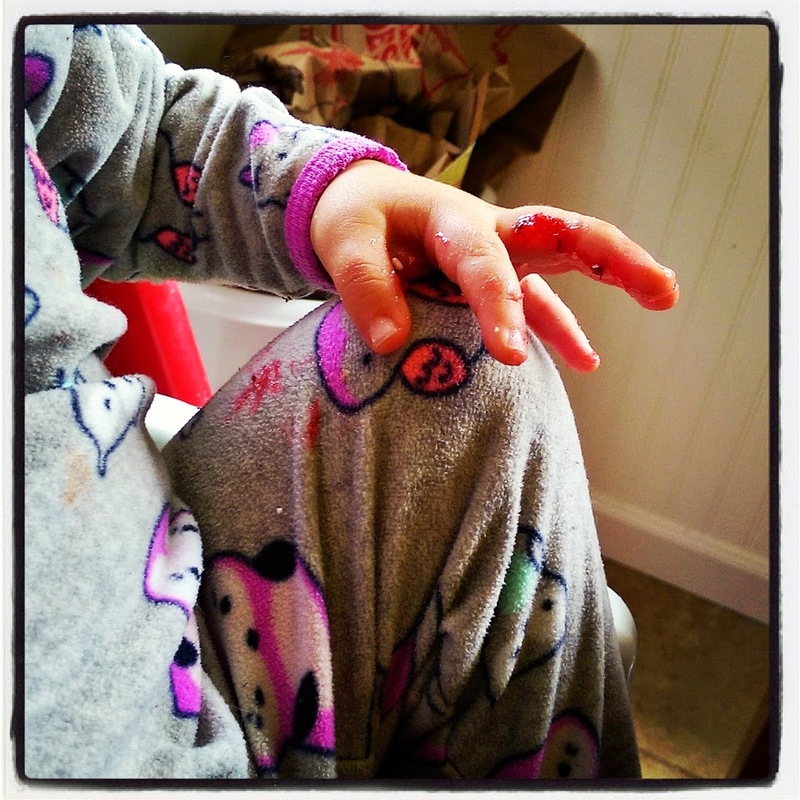 I love those little pudgy fingers. I got a tour of the lovely home. After a few minutes, I started looking for secret places to stash a sleeping bag so I can squat without being seen. 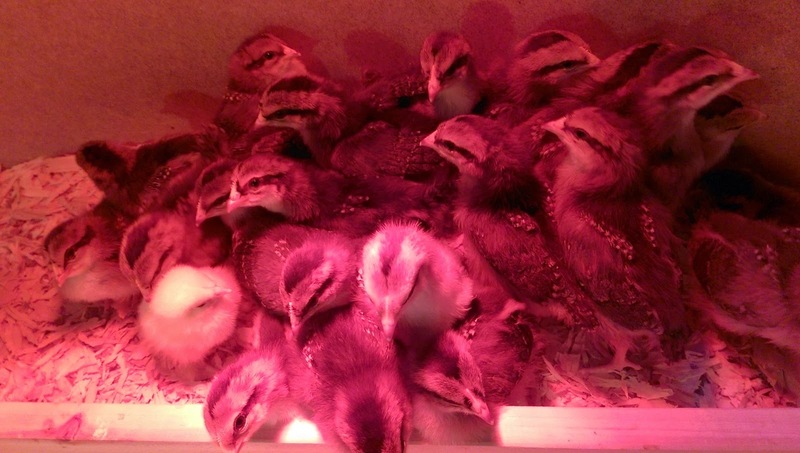 We ended at these adorable chicks that were just hatched and awaiting their move into their new chicken hut. One of these chicks is not like the other. Can you spot it? Then it was off for a play date and accounting (aka “fudging of numbers to make it all make sense”) meeting to wrap up my work as girl scout cookie manager for my youngest daughter’s troop. This was my first year as cookie manager and I must say, hats off to those that have done this in the past. Wow. I had no idea it was so painful. Next time you see a mom standing behind a girl scout at a table selling cookies, give her an extra nod of recognition. Or a spa gift card. Hours and hours later, okay, it just felt like that looking at all those numbers, I took my tired 8 year old home. We all made dinner together so I could also spent some time talking to my older girls about our upcoming 30 Days of Ramadan Crafty Challenge that will be starting in less then 90 days!! I know, so much to do, how can Ramadan be so close already?!? I ended the night at a comedy show with girlfriends and we laughed so hard we cried. Seriously. Funny. 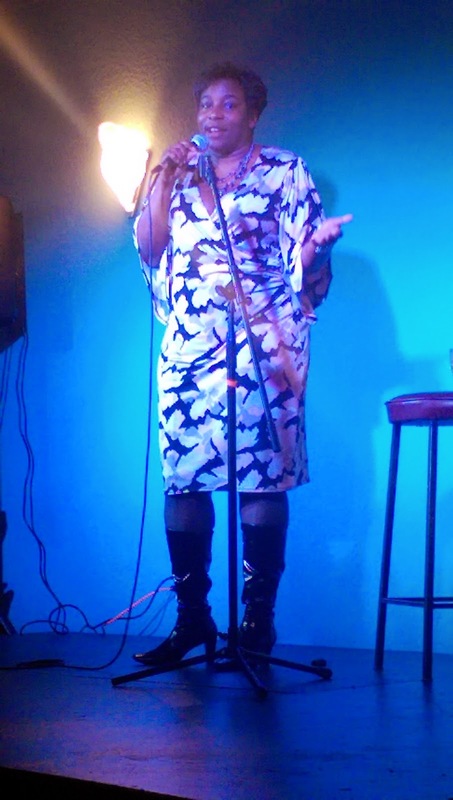 The beautiful and hilarious comedienne Marilyn Gibbs. I hope your Norooz was filled with flowers, friends, food, family and fun too!